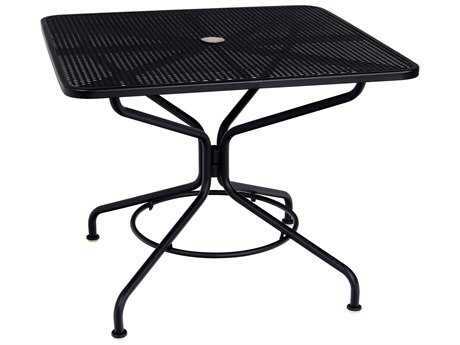 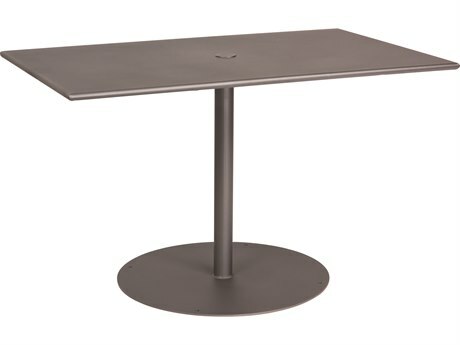 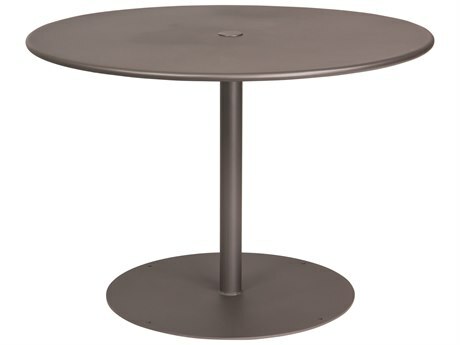 Please call prior to purchasing an umbrella base for this table. 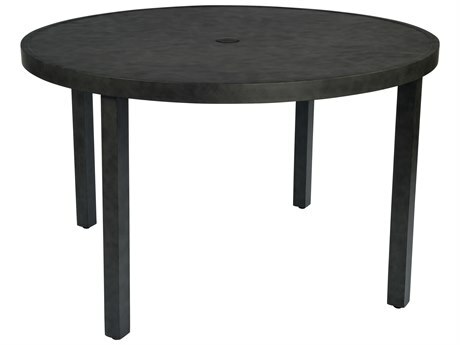 I am very pleased with this table. 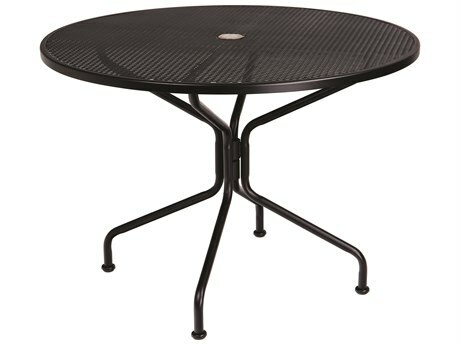 It seems sturdy and the material and surface seems like very good quality. 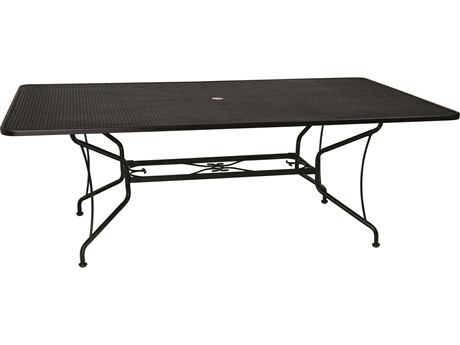 So far the table was only sitting in the sun on my patio, so it might be too early to give a complete evaluation. 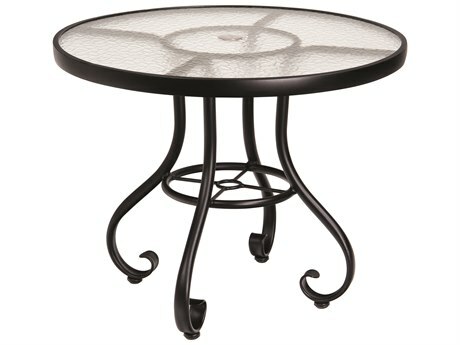 However, it was very easy to assemble and the details are well made and thoughtful designed. 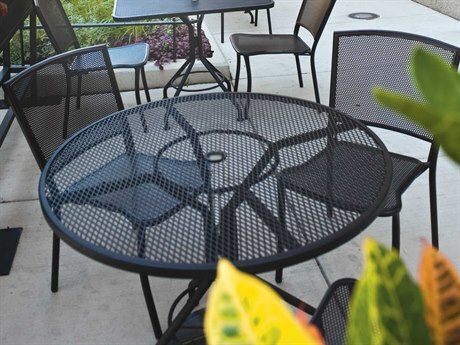 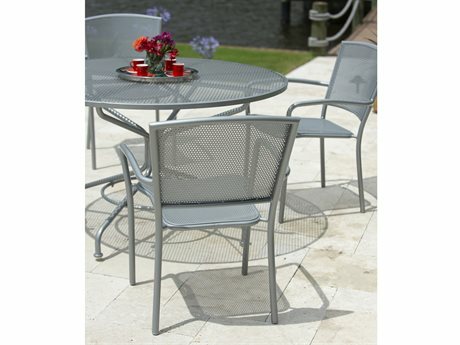 I am thrilled to have found Woodard patio furniture. 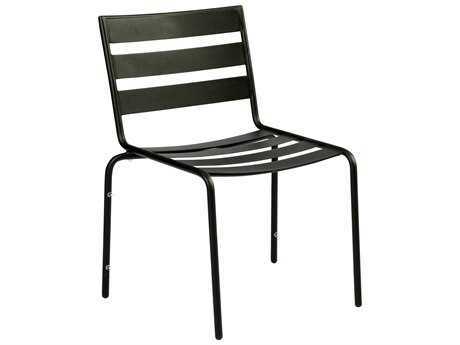 It is impossible to find wrought iron patio furniture any more. 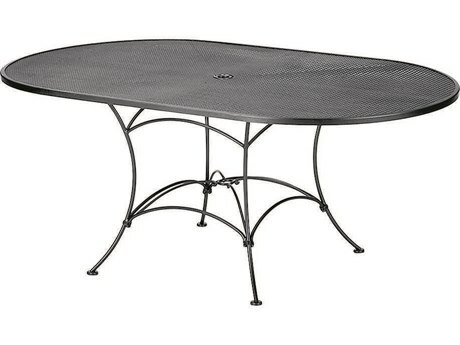 This is an excellent patio table, very will made. 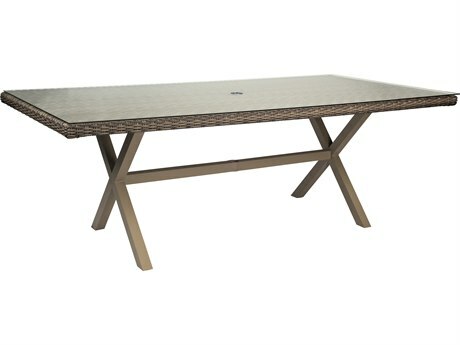 The representative was very helpful and the table arrived sooner than expected. 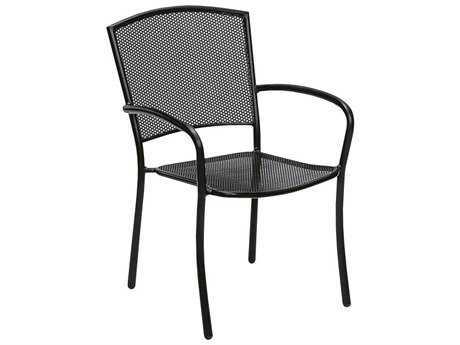 I would happily deal with this company again. 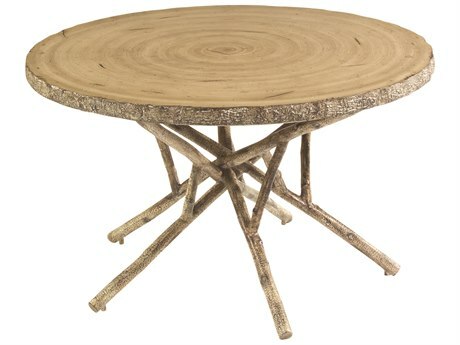 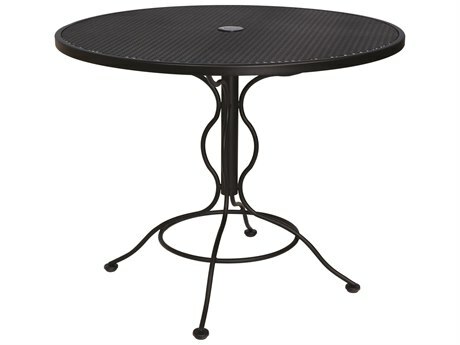 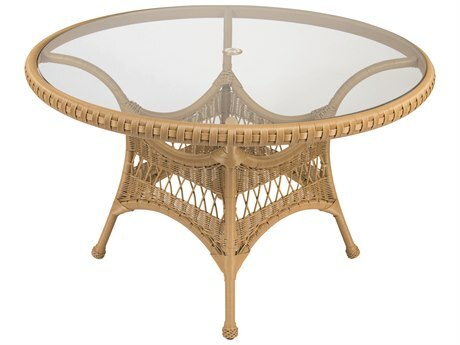 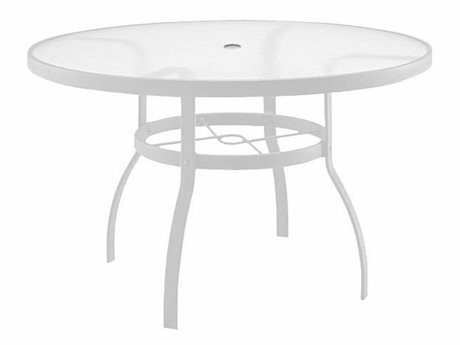 I purchased this table to coordinate with the Amelie Stacking Dining Arm Chair. 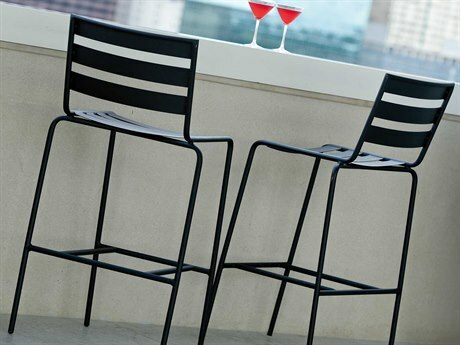 The two products coordinate nicely. 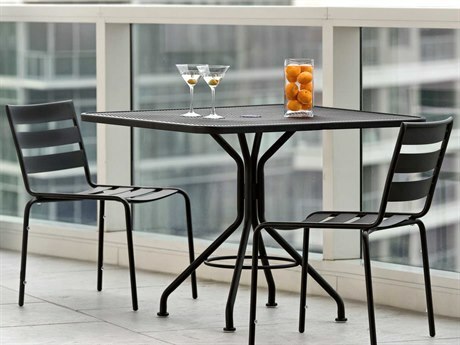 The table is sturdy and looks great with an umbrella. 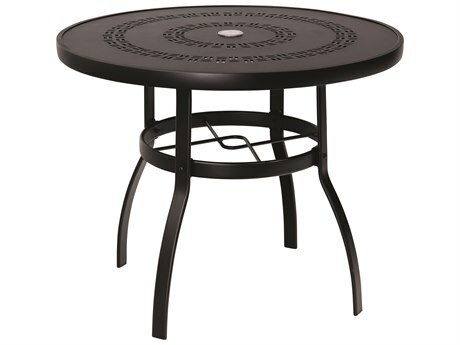 I have had trouble finding an umbrella stand that will fit under the table, but other than that I am very pleased with this purchase and will continue to purchase Woodard products. 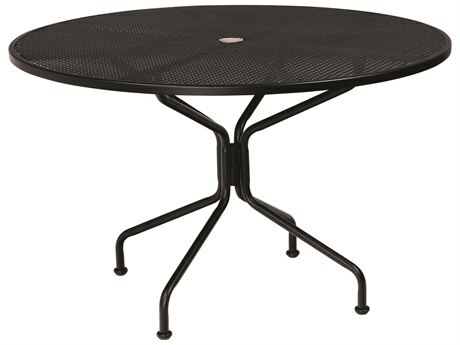 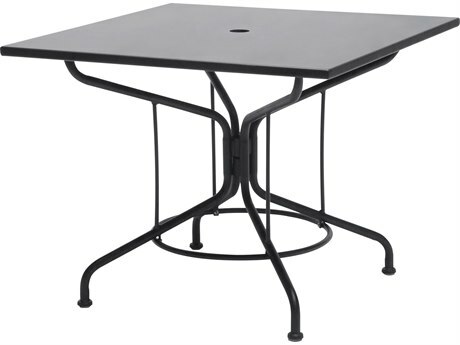 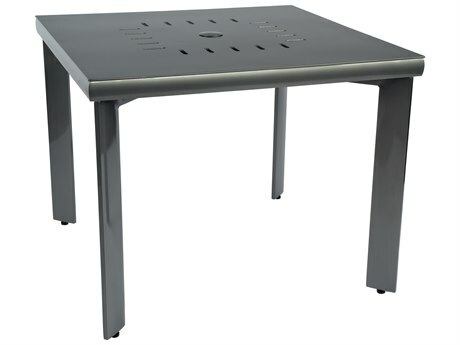 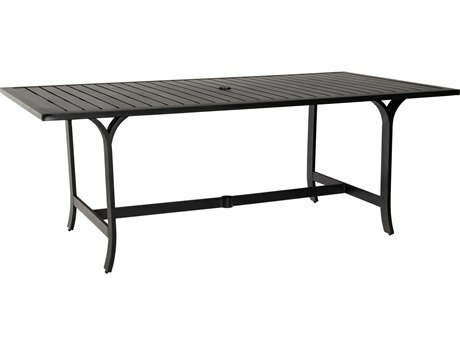 This table is very stable, reasonably priced and easy to assemble. 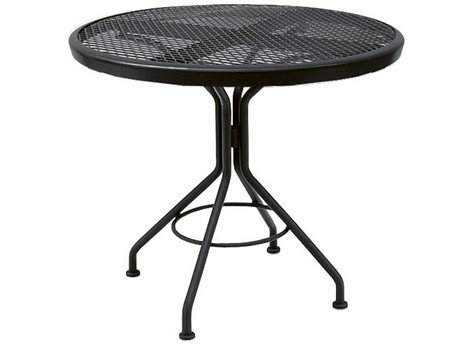 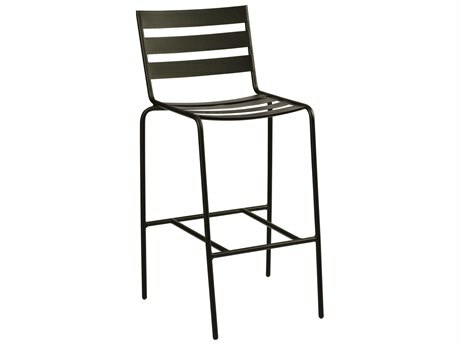 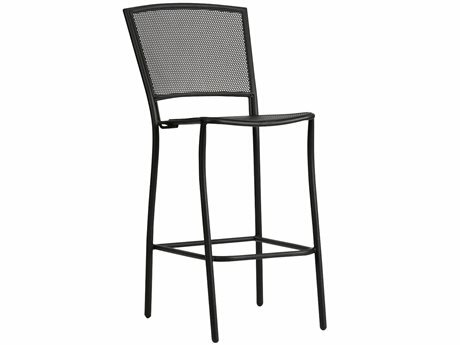 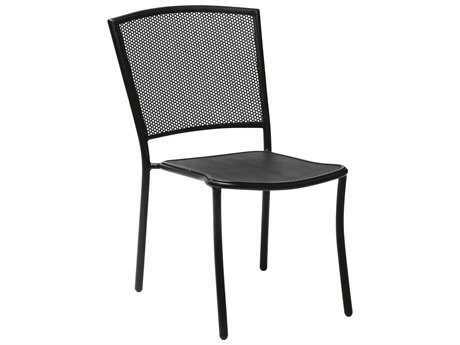 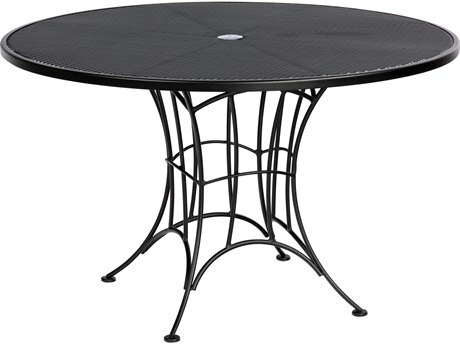 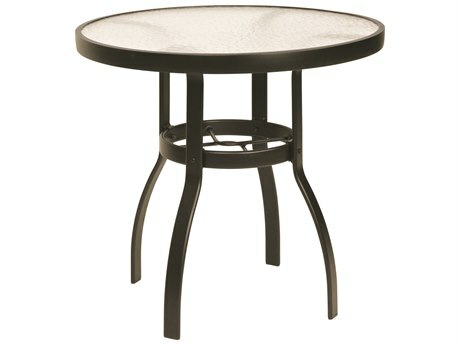 After one online store sent us only the chairs from a table and chair set, and then claimed that the table "got lot in the mail," we started shopping for wrought iron mesh table that would match our chairs and fit our umbrella stand. 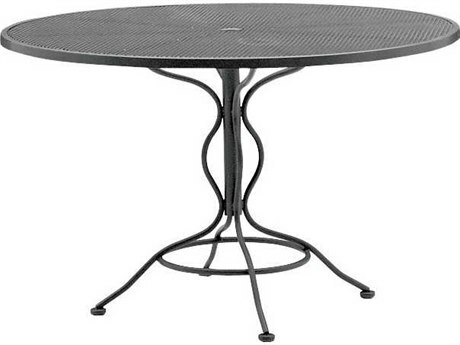 This table did just that. 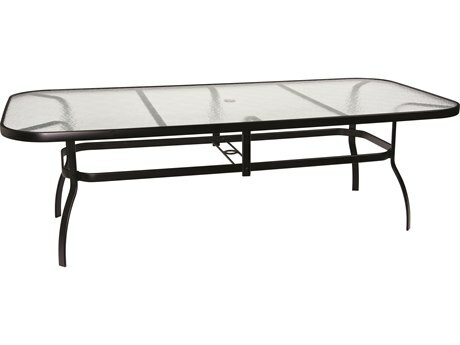 Looks great and very stable. 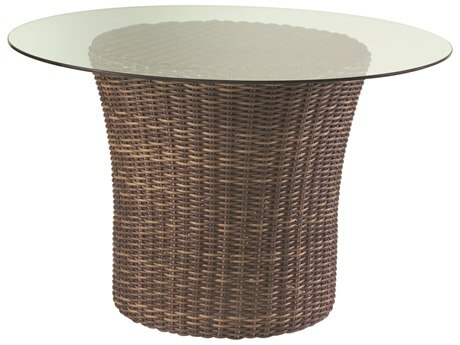 There is a small crimped area where the mesh top is bit crooked in the frame but hardly noticeable while using table. 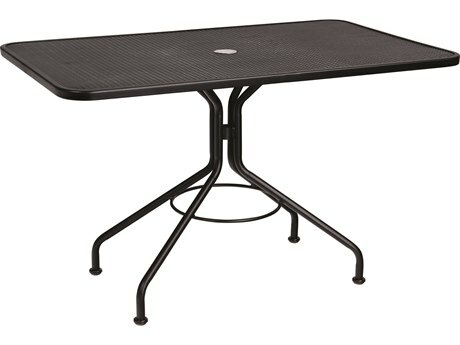 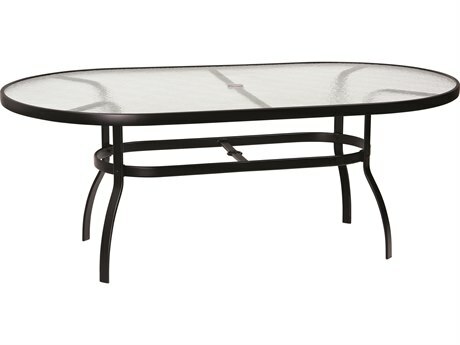 We highly recommend this table and we had very efficient and timely delivery of this item. 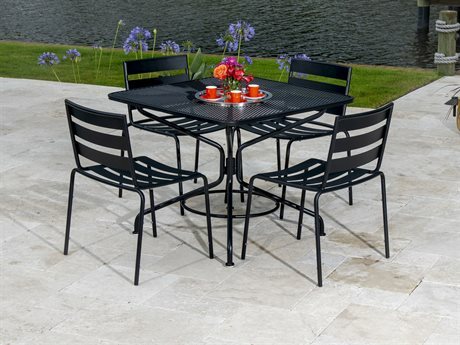 We have the table and chairs, and we love the set. 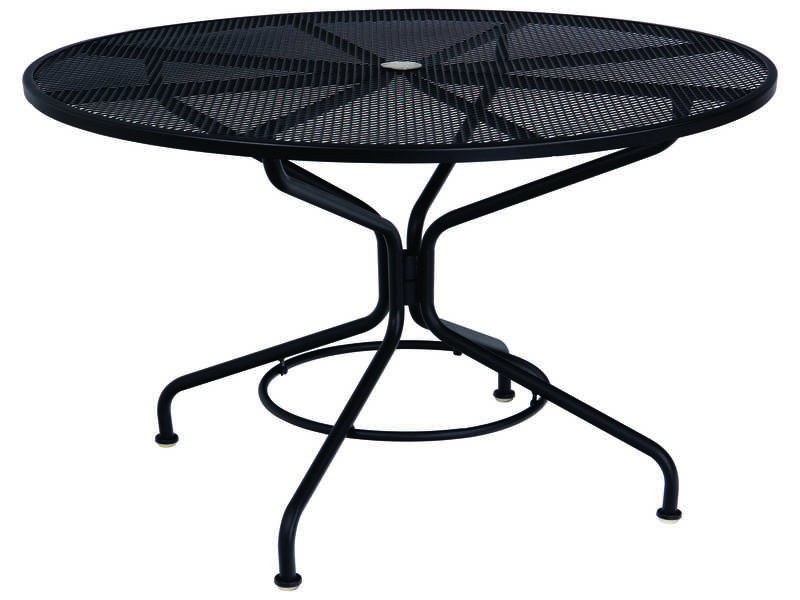 It is very sturdy, beautiful and so easy to clean. 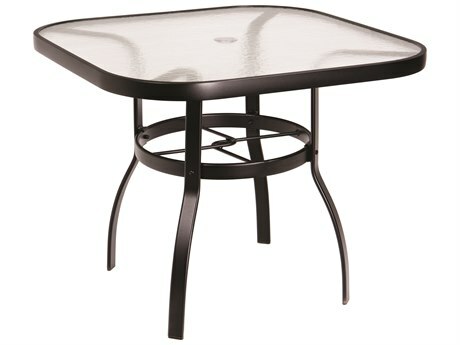 Love how clean this table top stays--it looks elegant without having a glass top.